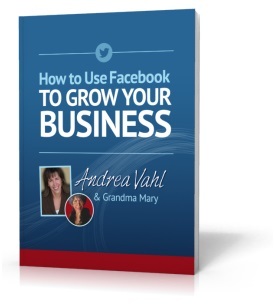 It’s Spring and that means a growth spurt for your business! But it’s not enough to want it – you have to work for it! 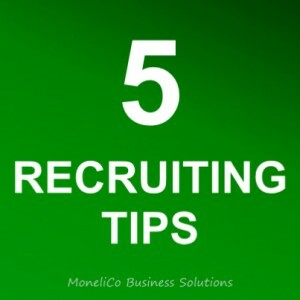 To help you here are Mary Christensen’s five favorite RECRUITING TIPS taken from Be A Recruiting Superstar“. A sincere compliment is a winning conversation starter and you’ll sponsor more by making it all about your prospects. Think before you speak: “Why am I approaching this person to join my team?” and let them know it! Try an attitude adjustment. It’s a little painful but the cure is permanent. Change your thinking to: “If I’m not getting lots of no’s I’m clearly not asking enough people.” We’d all prefer to say no than not be invited. Instead fretting that they’ll say no, give them a chance to say no. On the flip side, some will say yes, and some will say maybe. So, don’t let your emotional issues get in your way. They’re personal and this is business. Ask! Here’s the mind switch that transformed my business. I stopped hoping to meet my next recruit at parties and told myself: “I know my next Consultant is here today. My job is to work out who it is.” With the absolute certainty that she was in the room with me, possibly sitting right in front of me, I focused on identifying her (starting with talking less and interacting more to make it easy for us to connect). Step into their shoes! Your enthusiastic, impulsive Peacocks will respond to compliments, and the fun, social aspect of direct selling! Don’t be too casual with your analytical owls, they will expect you to be ready with the facts and figures! You’ll be challenged by your competitive eagle so be direct and businesslike; and give your wary Wrens space to make a decision. When you learn to identify and adapt to your prospect’s personalities you’ll see better results… and I’ve made it even easier to understand your personality – and others. With my new downloadable App iAMWOT? you will discover your true personality – and get instant advice on how to adapt to others in minutes! Mary Christensen left teaching to start a direct selling business and soon after founded her own company, sponsoring 1000 people in her first year. She is a former CEO of two multi-national direct selling corporations and past President of the Direct Selling Association (NZ). California-based, Mary address conventions around the world, and has appeared on every key industry platform including the World Federation of Direct Selling Associations and DSA events worldwide, including USA, Canada, Australia and New Zealand. Direct Selling Live recognizes her as one of the Ten Most Influential Women In Direct Selling Worldwide and The Multilevel Marketing International Association honored Mary as their Best Of The Best Worldwide award recipient. A step-by-step guide for aspiring leaders who want to reach the stars! Identify your best prospects, and learn how to approach and recruit them! 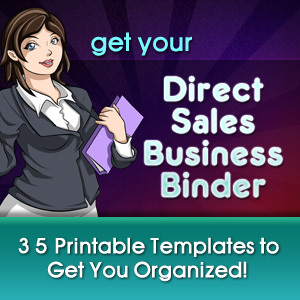 Generate more sales, recruits and bookings from every party! Build from the ground up, or revive your existing business! What is your personality type? This app will help you discover your inner strengths, weaknesses and social style! You’ll understand who you are and why you react to other people the way you do, and you’ll learn how to relate better with everyone at work, home and in your social life. 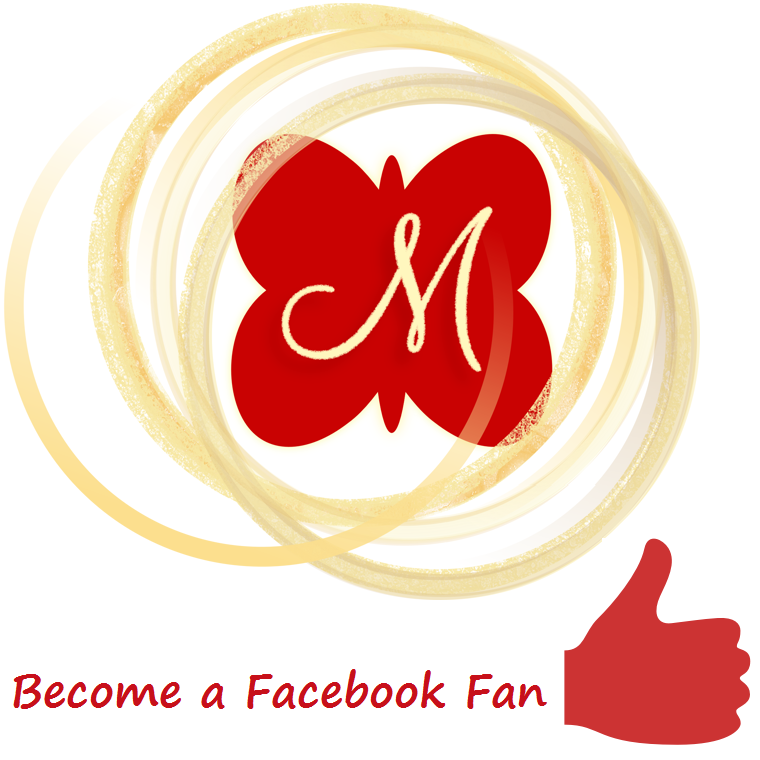 Sign up for Mary’s free e-news at MaryChristensen.com and be sure to checkout her Facebook Page and become a Fan! Follow-up is a big part of great Customer Service! The 2-2-2 Follow-up Method is a great way to provide your customers with excellent customer care while focusing on THEIR needs and truly coming from a place of service. If you are not incorporating a customer service regimen into your business, you are missing out on sales, bookings and sponsoring opportunities. Customer care builds relationships and it is the foundation of your business. 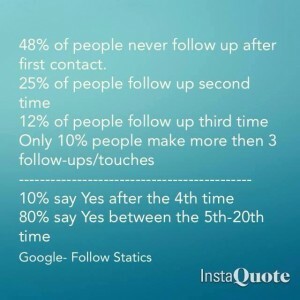 Below is a 3-part follow up system I like to call the 2-2-2 Follow-up Method. Need Some Summer Scheduling Help Now That The Kiddos Are Home From School? I’ve been working from home for about thirteen years, most of that time as a single mom. Summer has always been something I look forward to and dread all at the same time. I still get that excited feeling in the pit of my stomach (just like I did when I was a kid) during this time of year, when we start counting down single digit days until school is out (as of today, it’s 1!). I love the weather, activities, and the chance to spend time with my boys in a carefree world with no real deadlines or school activities demanding our attention (or that I nag them to finish their homework). On the other hand, Summer has always been a challenge for me because I’m not independently wealthy, so I can’t take a three month vacation from my business. So I thought I’d give you some of my best tips for keeping your sanity during the summer, when your house is busy, your kids demand more of your attention, and your schedule changes (so the way you work does, too). If you happen to still be in the trenches as a mom of younger kids, here are a few ideas that might support you. You will never get to spend as much time as you would like with your kids during the summer, and many people allow themselves to feel guilty about this. Wait a second here. If you had to work at a full time J-O-B, would you be able to just take three months off to be with your kids in the summer? Heck no. So think about the fact that, even though you might not be spending every waking hour with your precious littles, at least you’re there when they need you and you have the flexibility being self-employed brings. Your “normal” school-year schedule probably won’t work in the summer and you’ll have to modify it. That’s just a fact. You won’t be able to work as many hours (at least not during the day), and you’ll probably have to get creative. If you generally make calls in the afternoon and your children head to swimming lessons without you in the mornings, you’ll want to reschedule your calls for the times you know you’ll have peace and quite during the day. I knew exactly when Blues Clues was on when my boys were little, because I could be guaranteed 30 minutes of quiet during that show. You get the idea. So just plan on being more flexible regarding when you work and realize that things may need to change on a moment’s notice. Believe me, as someone who coaches direct sellers for a living, I always completely understand if a client asks to reschedule at the last minute if it’s kid related. I work with moms. It happens. You probably won’t be able to work as many hours during the summer, so making the time you do spend in your office as productive as possible is essential. Make a plan at least once a week (if not every day) and decide ahead of time what your priorities are and what will get your time. If you get all of the big projects or commitments out of the way, you can always focus on the leftovers. But I’ve found if I don’t have a plan, I start with the small stuff and then the big projects don’t get done. Likewise, make sure you’re present when you’re spending time with your kids. You can’t be constantly interrupting your time with them to answer your cell phone or check e-mail. Trust me, they hate that and they’ll resent it (and you.) Unplug and really give them your attention when you’re spending time with them. Find ways for your kids to get involved in your business (putting stickers on catalogs, putting together host packets, etc.) and reward them for their participation. Have a special box of toys that they are only allowed to play with when you’re working. This one is great. They’ll actually be begging you to work! I’m sure there are more creative ideas. These are just a few I used when my kids were little. Print out your schedule and hang it in a community place in your home, like your refrigerator. Now gather your family around and let them know that this is your schedule, and that you’re as committed to NOT working during the times not listed as you are to working during the times outlined for work. Then, if you’re really brave, ask your kids to hold you accountable by giving them permission to ask you to stop working if you’re in your office during a time that’s not on your calendar as office hours. Believe me, kids LOVE to catch you doing something you’re not supposed to be doing and they’ll definitely call you on it, especially if you ask them to. Finally, if something comes up that you need to do during the time you’ve scheduled to work for that day, be sure to go to your calendar right away and “pay yourself back” the time you’re borrowing from yourself. If you don’t, the work activity you’ve scheduled for that day won’t get done and you’ll find yourself getting behind. I no longer have to worry much about this issue. My oldest son Sam is 17 and driving, and he and his brother Eli (who is 14) are great buddies so they spend lots of time together. They’re really independent, responsible kids (for the most part), have cell phones, and check in when they’re not here (a hard and fast rule with us). For me, the days of hanging out with my kids, going for bike rides as a family, or heading to the pool for the day are pretty much history (“Nothing personal, Mom, but we’d really rather go hang out with our buddies or ride long boards”). Last summer I ended up asking them when they’d be home so we could spend some time together instead of them wanting me to stop working to do the same for them. Honestly, it’s a little bittersweet. So my best advice is this: If you do have little ones, enjoy them. It seems like yesterday that mine were pulling on my shorts and nagging me to come play. Truth be told, I miss that time in our lives more and more every day. Don’t take one minute of it for granted and when in doubt, take a break and give them some time. I wish I’d done more of that when I had the chance. This post will give you some general information about donating a raffle item for a fundraiser put on by a non-profit organization, church, or school. Information about a raffle drawing you can do at your table or booth during a vendor fair will be available in another post. Include plenty of marking materials with your donation. Never give away something without getting anything in return (like a contact email). When I am asked to donate an item for a fundraiser, I will usually put together a basket. First, I ask what the fundraiser is for and what the monetary value minimum is, if any. Sometimes they have no minimum and tell you to just dontae whatever you can. Secondly, I ask details about the fundraiser. Is it an auction, silent auction, a random ticket drawing in which the winner does not get to choose which item they want, or a raffle drawing in which the ticket purchasers get to choose which items they want to enter in to win? Usually the fundraiser will fall into one of these categories, but there are others. 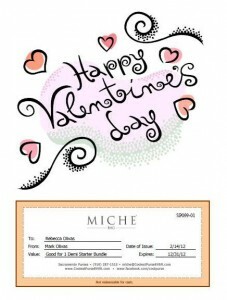 When asked to donate a Miche raffle item, I will put together a “basket” consisting of a base with one shell, along with a gift certificate to get a second shell at half off when they sign up for my newsletter, or free if they book a party. For my downline, I sometimes recommend giving away just the shell or base, with a gift card to get the other at half off or free if they sign up for her newsletter, or offer the base as the prize and include a gift card for TWO free shells once they book and hold a party. I try to keep my team members–especially when just starting out–from giving too much away unless they are getting something in return, like an email address. the more successful you become, the more you can afford to give away. And giving to charity is always a good practice, especially when you have been blessed with a successful business! If you don’t want to give away product, or don’t have product to give away, you can just offer a gift certificate in a decorated envelope. Gift certificates also work best when you don’t know what to give or you don’t know the demographics of your audience (mostly men? senior citizens? children?). If your company doesn’t offer gift certificates you create your own. 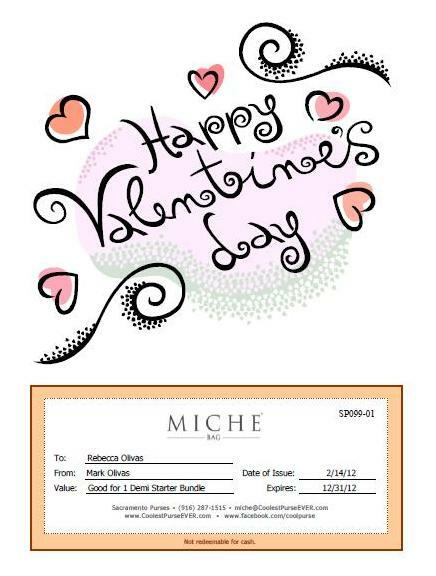 Below is a gift certificate I created yesterday for a customer who’s husband wanted to get her a gift cert for Valentine’s day. I made it using Microsoft Word. You can offer a flat monetary amount like $10 or $25, or offer an “amount off”, like $20 off any purchase over $50. Miche offers bundle packages starting at $47.95. I suggest to my team that they offer something like $20 off any Starter Bundle or $40 off a Prima Starter Bundle. When you know you may get a little of it back, you can be a little more generous with your donation. You could add to it and offer perks, like $20 off any Starter Bundle PLUS a free Purse Charm with the purchase of an additional shell. This usually works better at vendor events than fundraisers. With a fundraiser, the focus should be on the cause or charity. 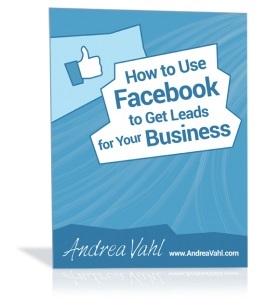 You know the money is going to help out a worthy cause, whether or not you are able to generate a lead. At vendor shows, however, the focus should be on capturing the lead. More about that will be discussed in an upcoming post. Another fundraising option you can offer is an online party. I am currently running a fundraiser online for a good friend of mine who has been nominated for the Leukemia & Lymphoma Society (LLS) Man of the Year. His son, RJ, was diagnosed with Leukemia and he is heading up a campaign to raise $50,000 for LLS. I have an open party on my Miche web site called Team RJ Fundraiser. I have offered to donate 100% of my commission from the sales of this party to my friend’s campaign. I also plan to use the hostess credits to purchase a Hope Collection bundle that I will raffle off to raise additional money that I will also be donating. When running an online fundraiser, be sure to include all the details in your monthly newsletter and through your social media outlets. Whatever you offer, make sure you leave a call to action (sign up for my newsletter, host a party, etc.) and a reason for them to come back to YOU (gift certificate redeemable only through you or your web site). The last thing you want to do is give away something free and then have them never come back, or worse, go to someone else for more product. Make sure you package your donation (whether basket or envelope) with plenty of marketing materials–your catalog, hostess brochure, recruiting brochure, and your business card. And definitely make sure ALL your marketing materials are labeled with your current contact information. It might be a good idea to ask the fundraiser coordinator how they will be marketing the event, how long it will run (like in a school newspaper), or if it will be a one or two day event at a physical location, and if so, how many people they are expecting to attend. Is it an annual event? How many people attended last year? If you can include your contact information in THEIR marketing materials do it. Often times they will only offer this option to those who donate higher valued items or make cash donations, but you should always ask. If it’s worth it to you, given the answers to the questions at the beginning of this paragraph, you may want to consider donating more. Finally, be sure to get the organization’s federal tax ID number so you can track it in your records as a donation. You will need this information in order to write this off as a donation at tax time. Often times you can have someone in the organization give you a letter thanking you for the donation that includes the donation amount or value and the organization’s tax ID number. For more information about my Miche business, visit www.CoolestPurseEVER.com. 2012 Dates to Know in the Party Plan Business! As a former Event Planner and currently a Consultant and Team Leader in the Direct Sales Party Plan business, I always find it helpful to have a list of holidays and special days of interest (especially to party plan consultants) available at the start of a new year to plan your year of parties with the fewest possible cancellations. Accidentally planning a party on a day like Super Bowl Sunday or Father’s Day, or forgetting about Daylight Savings day can seriously hinder attendance and hurt your business. It’s good to know in advance when certain holidays or events (sports, elections, etc.) take place so you don’t plan parties on low attendance dates. For example, the Friday and Saturday nights before Halloween when most people are throwing or attending Halloween parties might earn your hostess a lot of regrets and cancellations from people who would otherwise be very interested in attending and learning more about the products offered. Offering to only book daytime parties that weekend may be a better option. On the other hand, knowing in advance when Boss’s Day is or when and what Sweetest Day is can help you plan ahead for gift-giving ideas and incentives for your customers and team members. In a nutshell: Don’t plan a party on a day like the day before income taxes are due as many people procrastinate and will be too busy with paperwork to attend your hostess’s party. Do take advantage of knowing celebration days like Earth Day early enough in the year to research vendor events that may need a consultant like you (and a product like yours) to be showcased at the events. When you are aware of these dates, themes, and recognized celebrations, you can plan a better year of bookings. As a rule of thumb, I tend to overbook a month that has a lot of holiday weekends. People, especially families, tend to travel or plan weekend getaways on 3-day holiday weekends. I’m not saying you should never book on a holiday weekend, but make the other non-holiday weekends of the month your priority booking dates, and then book the holiday ones when the rest of your calendar is full. Additionally, I have found that Friday evenings and Sunday afternoons or early evenings are when people are most available for a product party. There’s always something “else” going on a Saturday. Weekday evenings in the summer are also high attendance booking dates! Below is a list of many (not all) U.S. Federal Holidays, traditional holiday observances, popular U.S. events, and other times of the year that could be helpful to a consultant in the party plan business, or anyone planning any kind of event. The date listed is followed by the day of the week it falls on this year, 2012. I’ve also added a few fun and off-the-wall dates, like International Day of Awesomeness, and some helpful party plan business tips for each month. Feel free to add your thoughts or additional suggestions in the comments. See more unusual and unknown “days” in January, click here. Business Tip: Start promoting your Valentine’s Day specials and gift ideas in January! 2/5 Sunday: Super Bowl XLVI (46) in Indianapolis. Usually the first Sunday in Feb.
2/12: Lincoln’s Birthday. Some government offices and schools may observe on Monday, 2/13/12 (possible 3 day weekend). 2/21 Tuesday: Mardi Gras (a.k.a. Fat Tuesday). Day before Lent starts. 2/26 Sunday: Daytona 500, Nascar car race. See more unusual and unknown “days” in February, click HERE. Business Tip: Now’s a good time to think about hosting a Spring Cleaning clearance event or Open House! 3/31 Saturday: Earth Hour from 8pm to 9pm (local time). Millions of people, businesses, governments, and organizations around the world participate in Earth Hour by turning off their lights for one hour. Click HERE for more information about Earth Hour. Spring Break: It varies from the 2nd week of March to early-mid April. Each school has its own specific week(s). Christian schools and universities tend to not have Spring Break until after Holy Week (Palm Sunday through Easter Sunday). March Madness – Mens College Basketball Title Tournament in March, every year. See more unusual and unknown “days” in March, click HERE. Business Tip: Consider donating a portion of your sales profits to your favorite charity. I usually donate at least 10% of my monthly sales in March to the March of Dimes. It feels good to give and shoppers may be more inclined to spend extra if they know you are donating a portion to a good cause. You might consider a local charity or non-profit organization (they may even advertise for you!). 4/6 Friday: Good Friday (always the Friday before Easter) U.S. stock market is always closed on Good Friday. 4/17 Tuesday: Tax Day, last day to file federal taxes without penalty. The deadline is extended two days because April 15, 2012 falls on a Sunday, and Monday, April 16th is Emancipation Day, a federal holiday, so post offices are closed. 4/3 Tuesday: World Party Day What better day to host a party on than World Party Day, right? 4/7 Saturday: Tangible Karma Day (first Saturday in April) This would make a great theme party idea. Check out some ideas HERE. See more unusual and unknown “days” in April, click HERE. Business Tip: Start promoting your Mother’s Day specials and gift ideas in April! 5/11 Friday: Child Care Provider’s Day Remind your customers who have kids in day care about this day and offer gift suggestions they can purchase from you. See more unusual and unknown “days” in May, click HERE. Business Tip: May is a great month to promote graduation, Father’s Day, bridal shower, and wedding gift ideas to your customers. 6/15 Friday: National Flip Flop Day Host a Flip Flop themed party! See more unusual and unknown “days” in June, click HERE. Business Tip: The kids are out of school and the weather is nice. Take this opportunity to offer your hostesses outdoor themed parties geared around the kids and hold them in parks, by the pool, or just out back on the patio. Margarita themes are always a hit! 7/19 Thursday: Get to Know Your Customers Day Make good use of this day! 7/27 Friday: National Talk in an Elevator Day (last Friday in July) Have your business cards or catalogs ready! See more unusual and unknown “days” in July, click HERE. Business Tip: Summer is a great time to book evening parties during the week. Moms are less busy during the week since the kids aren’t doing homework. Weekends have been known to be slow in the summer for party plan consultants, but you can make up for it by having lots of week night parties. Now is the best time! See more unusual and unknown “days” in August, click HERE. Business Tip: Kids go back to school soon. August is a good month to promote a last chance Girls’ Night Out or Moms’ Night Out party. 9/28 Friday: Native American Day (4th Friday in September). See more unusual and unknown “days” in September, click HERE. Business Tip: Kids are back in school and stay-at-home moms have a little more time on their hands. Perhaps the cost of school supplies was more than they budgeted for? It’s a great time to recruit moms looking for part-time work now that the kids are out of the house all day. Grow your team! 10/16 Tuesday: Boss’s Day (National Bosses Day). If it falls on a weekend, it is observed on the work day closest to the 16th. 10/20 Saturday: Sweetest Day, a day to take the time to show love to people in need or those who are special to us who we wouldn’t normally give special attention to (3rd Saturday in Oct). See more unusual and unknown “days” in October, click HERE. Business Tip: October 26-28, 2012 (Fri-Sun) is the weekend before Halloween. This is when people tend to host or attend Halloween parties. If you are looking to book up that weekend this year, book day time parties. Chances are people will have plans in the evening. 11/13 Tuesday – 11/14 Wednesday: Total Solar Eclipse, unless you are planning a late night party, this should not pose an attendance issue. 11/23 Friday: Black Friday – Friday after Thanksgiving, traditional start of Christmas shopping deals. 11/26 Monday: Cyber Monday – Monday after Thanksgiving, the online internet version of Black Friday deals. See more unusual and unknown “days” in November, click HERE. Business Tip: Click HERE for holiday season sales and booking tips. See more unusual and unknown “days” in December, click HERE. Business Tip: Keep in mind many offices and organizations usually have their holiday parties the two weekends before Christmas. In 2013, there is an extra Federal Holiday (every 4th year): Inauguration Day. It occurs on January 20th after the U.S. Presidential Election held every 4 years. Since January 20th in 2013 falls on a Sunday, it will be observed on Monday, January 21st. Maybe some women don’t care about sports, but if their husbands do, they will not be happy with a bunch of people coming over during the game to smell candles or try on jewelry. Perhaps utilize 2 rooms and invite wives AND the husbands. This has worked well for me in the past during regular season or even early playoff season games, although I personally would never book on a day like Super Bowl Sunday or during the NBA Finals or World Series games—I will most likely want to be watching the TV too. A great web site to check out for dates and info on major sporting events is http://www.johnnyroadtrip.com/. Spring Break varies from school to school. It is usually somewhere between the 2nd week of March and early to mid April. Some schools take two weeks, while other only one week. Christian schools and universities tend to not have Spring Break until after Holy Week (Palm Sunday through Easter Sunday). Is there a big event going on in your area? A state Fair or a largely anticipated concert that your target market may be attending? If your target audience is moms of pre-teen girls, don’t book a party the night of the Justin Beiber concert! What about award show nights? Movie buffs won’t want to miss the Oscars on Sunday, February 26, 2012. An easy way to remember these is to think of springing forward in the spring (always the second Sunday in March), and falling backward in the fall (always the first Sunday in November). Plan party themes around the changing of the seasons. March 20, 2012: Vernal Equinox – Beginning of Spring. June 20, 2012: Summer Solstice – Beginning of Summer. September 22, 2012: Autumnal Equinox – Beginning of Fall (Autumn). December 21, 2012: Winter Solstice – Beginning of Winter. Here are some great holiday tips for direct sales people, network marketers, MLM professionals, and home party plan entrepreneurs. 1 ) Get into the holiday spirit! When you begin thinking about the holidays, think about how it relates to your business. Take in the holiday atmosphere… the sounds, smells, colors. Is your business reflecting the same holiday cheer? Add some holiday “décor” to your catalogs or your Facebook page. Send out holiday e-greetings to your database. Package your products in holiday gift wrap. 2 ) Think of your product as the perfect holiday gift. What are some great stocking stuffers? What about gifts for extended family? Secret Santa parties? Gifts for employees or your boss? How about a Just-In-Case gift for those who show up unexpectedly? And let’s not forget teachers, neighbors, the postal carrier, doctors, dentists, hair dressers? 3 ) Set up your table presentation or vendor booth in a festive way! Add some garland or a string of lights. You could even have a tree on display with gift ideas below it or hostess packets packaged in holiday gift bags. Use a holiday table cloth or play some holiday music as guests arrive. Put them in the holiday shopping mood. 4 ) During your presentations demonstrate how your products make great holiday gifts. Think back to the gift recipients in #2 and mention those in your presentation. People are always looking for gift ideas for those hard-to-buy-for people. Don’t forget to showcase great stocking stuffers. 5 ) Call up your best hostesses or those potential hostesses you’ve been meaning to call. Make customer service calls letting your best customers know about upcoming sales, holiday promotions, or hostess incentives. Think about who you know that always decorates their home beautifully during this time of year. They’ll be looking for an excuse to show it off. Hosting a party gives them that opportunity. 7 ) Offer free gift wrapping. Sometimes the smallest of services can make the biggest difference when someone is deciding on what gifts to purchase. Mention during your presentations that you are offering free gift wrapping for all purchases from the party. Extend that extra customer service and alleviate some stress this holiday season. If I receive your order between 3:00 AM and 7:00 AM, you receive (this should be our biggest door buster deal). By the way, the time can start as early as Midnight on Thanksgiving. If I receive your order between 7:01 AM and 11:00 AM, you receive (this should be a good deal, but less than our door buster discount). If I receive your order between 11:01 AM and 3:00 PM, you receive (this should be a different deal). Continue listing the times with different specials.